For an entrepreneur it is always about being alert to upcoming opportunities to bring about the value to his/her ideas by using the minimum threshold resources and generating outcomes that are in-line with his primary objective. An entrepreneur has his ideas and thought process as his core competence and an important asset, rest all resources play a secondary role. They always cater to strategic stretch for varied opportunities coming to his path and is prone to risk taking. An entrepreneur is open to innovativeness and would be low on dogmatism because if he would stick to the dogma, then he will not be able to grow in the market. We might all be aware of some entrepreneurs who have made sky rocketing contribution in the global economy. Some of them are Opprah Winfrey, larry page and sergie brin, bill gates, Michael Bloomberg, aliko dangote, angella margolit, hetal parikh, kiran gill and many more which makes person difficult to list down. 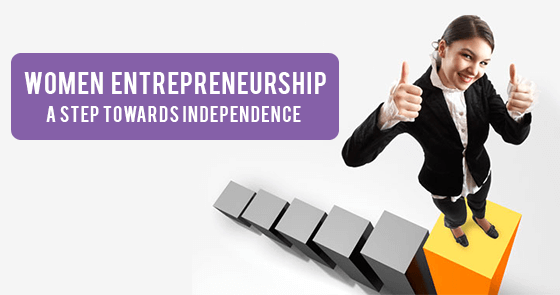 Every year hundreds and thousands of entrepreneurs are nominated into the international list of entrepreneurs. Like Rome was not built in a day, same way there was not a sudden growth in the amount of quality women entrepreneurs in the world. It took real pain and courage to step out in the midst of dawn by breaking all the stereotypes of the society and varied cultures. Women entrepreneurship day is observed on 19th November to promote and encourage women for their contribution to the economy of the world by giving birth to their own ventures with their own creativity. It is a tribute to all the women having the courage to stand up for their rights and giving back something to the society. Education being promoted: Getting educated was not ever a primary focus of any human unless it became mandatory to learn and get knowledge for trading and doing business. With encouragement to education, people started learning stuffs. Even women got encouraged to learn and gain knowledge. For them it was not to trade obviously, but it was to stand up for their rights against injustice which was later helpful in even doing business and earning bread for the family. Grooming centers: There are grooming centers available in the metros and suburbs to train the overall personality of a female and to inculcate the correct attitude required to manage a business and manage people in the business. These centers provide you a full fledge counseling for your overall growth. In today’s world, it is very much important for a business woman to have a personality that matches her business and this would even be helpful in showcasing her existence in the market. Incubation centers for women entrepreneurs: There are private and government sponsored business incubation centers in many nations that promote startup businesses by providing them with flexible capital, network connections, services, space or counsel guides at comparative lower prices than the market offers. There are incubators that suit your business style and provide facilities for the kind of business that you possess. You need to submit your business proposal to the incubation centers. That is when they will review the business plan and decide whether your requirements can be met or not and then would provide you families accordingly. Increased government intervention now promotes women entrepreneurship. Government in all the nations is providing subsidies to women who are enthusiastic towards building their own business. Government intervention has made it easier for fresh ideas to develop in the industrial domain. It has boosted confidence and good financial support for those women who want to give wings to their dreams. Selection of role models at early stage: A role model or idol is always required in one’s life so that we may follow them and can be used as a counterfeit of hope. Women have started to implement role models and boosted self-perception in the early stage of their life itself. The time they had to spend in the kitchen, they have implemented in gaining strong roots about their business. Having a role model would be helpful in a way that ideas can be matched with the tricks they used in their businesses to grow. This works as a guide line or manual for an entrepreneur to implement their work like wise. Information made transparent: There are places certain untapped fields, where a women obtains no information at all due to legal laws or due to the cultural impact and perceived misfit of female in that sector. Public entities are taking steps to eradicate this obstacle so that information becomes transparent for women who want to gain knowledge. There are helpline centres in certain nations that provide sufficient knowledge to women about the sector she is interested to go into. Organizations have also made it mandatory in some of the nations to have female members in their board for major decisions related to the organization. This is a step taken at organization level to encourage female presence and provide them motivation. Gone are the days when she had to look back before looking forward to take a leap and fly. Let’s create a benchmark in the industry to prove that females can stand out in the competition when it comes to an actual competition. Hans Jonas theory rightly addresses this situation which says “Act so that the effects of your action are compatible with the permanence of genuine human life”. Let us make this world a fair place for all to grow and get nurtured well so that we may create a future which is as beautiful to live for others and our generations to come. We are supposed to question ourselves as a part of this society that are we questioning the gender or we actually questioning the capabilities based on gender? If we get a clear answer to this, we may know and get fairly acknowledged that we must be changing our mindset so as to be productive enough in our thought process. Women today have been giving continuous proofs for her excellence and productivity. We may together create a society fair enough to move past the dogma of stereotypes by helping a female gain what she really desires. This is not only giving justice to the gender but also providing enormous opportunities for a nation to grow economically hence providing a healthy and secured lifestyle to every individual. If she wants to take the road less traveled, let’s help her create a highway there! By: Misha holds a Master degree in Marketing and bachelor in computer application. She works as a content & marketing Manager at SoftwareSuggest. She likes travelling to hill stations and reading novels. Follow her on twitter.